What does the KR on my 1920s ring mean? 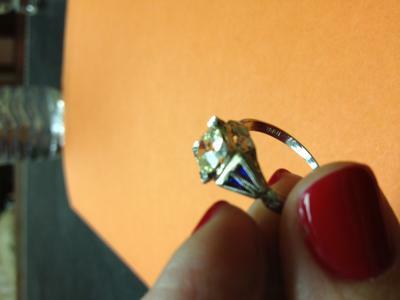 This is a 1920's ish diamond ring. Center stone is about 1.5 carat diamond and each side has 2 kite shaped saphires. It says 18KR I know what 18K is but cannot figure out the R.